It’s little surprise that our relationship with the thing that permitted the flowering of human intellect is one of desire. Meat, particularly beef, is a status symbol in societies the world over, and advancements in agriculture mean that we’ve never had better access to it. Steakhouses introduced cuts of meat larger, fattier and tenderer than our ancestors could have dared to dream of, an American Dream that indulged our primordial desire for easily digestible protein, and a high ticket commodity that has quickly spread globally. Up until now, China’s relationship with beef has followed a different path. As a cooking culture, meat is typically consumed in smaller pieces easily managed with chopsticks rather than great slabs of steak. Beef has always been uncommon in most parts of the country, and to some, the concept of rare, pink-in-the-middle steaks is considered barbaric and unhygienic. But the thing about beef consumption, as economists have for years noted, is its perfect correlation to GDP growth. The more money we earn, the more we have to indulge in expensive food. Nowhere is this truer than China, where years of successive economic boom have ushered in a burgeoning middle class; open-minded, flush with cash and eager to experience the finer things in life. In fact, China’s beef consumption is rising at an astonishing rate of 15 percent per year. But there is an ominous underbelly to our desire for beef. At present, environmentalists estimate that the carbon footprint of the livestock sector is greater than that of the entire transport industry, equating to 18 percent of all human-produced greenhouse gasses. Despite surging to become the world’s second largest importer of beef in just five years, the average Chinese person consumes far less beef than an American. But at this rate the USDA’s Foreign Agricultural suggests China could overtake the United States in a few years, leading to the question: what will happen if Chinese people start eating as much beef as their Western counterparts? Material indulgence aside, exclusive experiences are the new luxury frontier for China, and dining plays a huge part in this. For many restaurant proprietors, it’s not old school gourmands or officials leading the charge. The most lucrative sector for high-end restaurants are the newly minted, upwardly mobile Chinese middle class, who spend disposable income on exotic pleasures that reach them via the emergence of culinary globalization. Imported high-end steak is but one of them, a delicious foreign luxury that can be enjoyed right at home – and compatible with both Western and Chinese dining. But China’s craze for beef is limited to first tier cities only, due in large to the vast income differences between rural and urban populations. According to a 2012 study reported to the Australian Government Department of Agriculture, animal product consumption in rural China lags as far as 30 years behind urban areas, and the consumption of high value foods is likely to be many times that. Despite this discrepancy, China’s surging demand for beef is growing at a startling rate, to the point that the supply of high-grade product can no longer keep up with surging demand: China is now the world’s second largest importer of beef, and could be well on its way to toppling America from the top spot. Complex trade agreements have meant that Australia has for a long time enjoyed exceptional opportunities in exporting beef to China. However, particularly brutal Australian droughts in recent years have reduced its largely pasture-fed supply. But their loss is others’ gain, as China has recently permitted several new countries to import beef into its increasingly lucrative market. China sent shockwaves across the stock markets earlier in 2016 when it was revealed that a 13-year-long ban on US beef in China was finally set to end. The restrictions were put in place in 2003 with officials citing a case of bovine spongiform encephalopathy (mad cow disease) in a Washington State farm – at the time, 70 percent of China’s beef was supplied by the US. Sadly for American beef exporters, the excitement was short-lived when it transpired shortly thereafter that the ban was more selective than many would have liked, permitting only bone-in or boneless beef aged 30 months or less. Beef of those specifications equates to top-grade product, for which supply already falls short of rising domestic demand in the United States. The US Department of Agriculture reported that despite increased demand, its domestic beef supply shrank by a billion pounds in 2015 due to rising costs and drought. 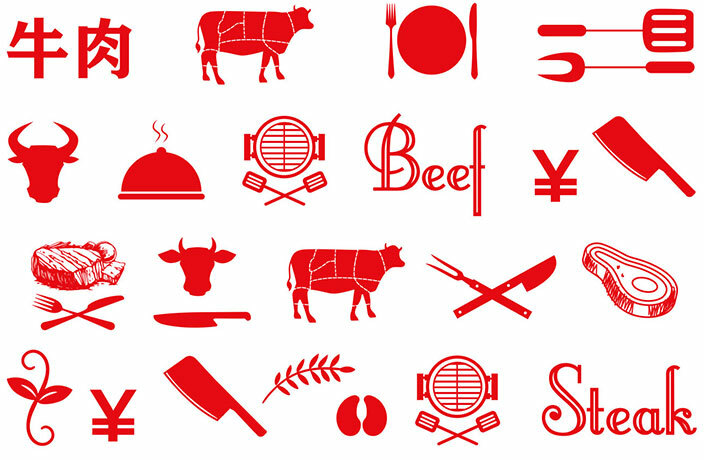 While the lifting of the ban could clear the way for premium US beef products on China’s white linen tables, many remain skeptical about when exactly the legislative results from this change will come to fruition. In the meantime, the United States’ loss is a serious gain for others. In the years following the 2003 ban, Australia has enjoyed near-exclusive access to China’s burgeoning beef market thanks to the advantageous China-Australia Free Trade Agreement. So advantageous in fact that Australian beef sales to China have boomed six-fold over three years to USD651 million in 2016 alone, according to Meat & Livestock Australia. While animal protein analysts like Rabobank’s Angus Gidley-Baird estimate that Australia’s China exports will continue to rise, serious competition came in mid-2015 when Brazil and Argentina were also granted market access. (China just suspended Brazilian meat imports this week following a tainted meat scandal). Like the USA, Brazil was banned from exporting to China in 2012 following a mad cow scare. Since regaining market access, however, Brazil has since overtaken Australia to become China’s top beef exporter. A relatively weak real means that prices for Brazilian beef often comes a lot cheaper than their Australian counterparts, and they are well-positioned to displace Australian product for years to come. Another of China’s significant beef exporters may come as a surprise: India. Having dislodged Brazil as the world’s number one beef exporter in 2014, India’s beef exports are vast; totaling 2,082,000 metric tons in 2014. As many will know, cows are considered a sacred animal in India, and are neither eaten nor kept for commercial uses. ‘Carabeef’ like water buffalo, on the other hand, are a different story and are included in statistical numbers like the one above. Having pushed up the global costs of cow meat, Chinese demand is considered one of the main reasons for this boom, inadvertently creating a gap in the market for cheaper beef. With a tougher texture and not appropriate for steak cuts, carabeef’s uses are primarily industrial, destined for processed products. Since stepping in as a rock-bottom priced exporter, India’s carabeef has found particular favor with beef-hungry Southeast Asian nations, in particular its largest importer, Vietnam, at a staggering USD2.1 billion. China itself does not permit Indian beef imports, but many speculate that the bulk of Vietnamese carabeef shipments are carried over the border into China’s grey markets, meaning that chopped beef dish you enjoy in your local Chinese eatery may have hailed from a buffalo farm in India (or via the Indian government’s terrifyingly-named ‘Utilization of Fallen Animals’ scheme). China’s own domestic beef production is also significant, and by certain estimates just behind the United States and Brazil at nearly 7,000,000 tons a year, or up to 10 percent of the global supply. 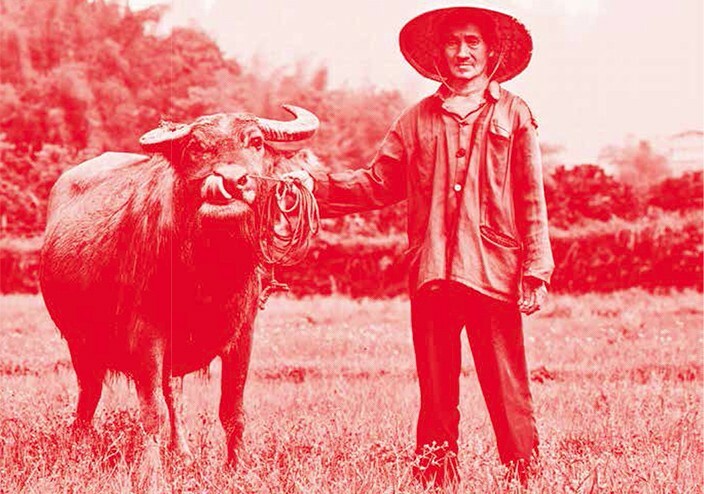 Prior to reform and opening-up, China’s domestic herd focused on working cattle, though favorable policies of the 80s and 90s providing incentives for small- and eventually larger-scale beef production. Despite these factors, China’s small-scale producers and indeed herd numbers are on the decline. Dramatic urbanization has meant that China’s agriculture sector no longer has the cheap, seemingly endless labor force it once did. Environmental factors like constrained grazing pasture have fur - ther reduced incentives for domestic producers, causing the price of whole - sale beef to double between 2008 and 2013 according to the China Ministry of Agriculture. Kastro estimates that demand for high-grade domestic beef such as these will continue to rise, thanks to competitive pricing compared to their imported premium counter - parts. However, the scale of domestic production is a long way from being enough to satisfy consumer demands, meaning that China will continue to be reliant on imported beef. Despite its boosts to the economy, our hunger for beef has a dark side that, if left unchecked, could threaten public health and inflict irreversible environmental damage. At present, China’s beef consumption in terms of domestic consumption by population trails behind the United States at a rate of 7,890 to 11,845 (1,000 metric tons CWE), a statistic that will change as China’s urban household income is set to double by 2022 according to research conducted by McKinsey. Assuming that beef (still a luxury item by most classifications) will continue to be consumed primarily by urban middle class residents, 2030 could see a potential population of roughly 854 million regular beef eaters. This spells disaster for environmental campaigners, who attribute agricultural byproducts and waste as one of the world’s worst pollutants. Methane, a greenhouse gas that’s up to 33 times more damaging than carbon dioxide is the main culprit, produced by the digestive systems of ruminant livestock (cattle and sheep). This amounts to nearly 100 million tons annually, according to the FAO (United Nations Food and Agriculture Organization). Of these emissions, beef and cattle milk are by far the worst offenders, accounting for 41 and 20 percent respectively, according to a report by the Global Forest Coalition. Beef’s inefficiencies don’t end there. Cattle are unequivocally the most waterintensive livestock, with each pound of human digestible protein requiring 1,799 gallons of water to produce, also taking into account the water required to grow feed. To put that into perspective, one pound of pork requires 576 gallons. In terms of emissions, the Journal of the Proceedings of the National Academy of Sciences published findings that a kilo of beef protein produces 1000kg of associated greenhouse gasses, compared to just 24kg for pork and a mere 3.7kg for chicken. Emissions aside, cultivation of cattle is having a devastating effect on landscapes in some of the world’s most environmentally precarious places. The FAO estimates up to 70 percent of the world’s arable land is used to cultivate livestock and the feed it requires. In Brazil, now China’s most significant beef supplier, 70 percent of deforested land is used for grazing pasture, with the remainder used to grow pesticide intensive soybeans to feed them. Environmentalist Zhou Wanqing argues in The Triangle, a groundbreaking discussion paper illustrating the impact of factory farming between the world’s biggest players: China, Brazil and USA, that if left to grow at the present rate, the impact of intensive factory farmed meat will render “effectively unbearable” pressures on natural resources. The human impact is similarly terrifying – the more land used to grow cattle feed is a source of cheap food taken away from some of the world’s poorest people. In East Asia particularly, the predilection for richly marbled cuts (achieved by grain-feeding) will likely ensure an uptick in reliance on grain resources for years to come. Needless to say, the increasing global appetite for beef is already unsustainable, intensified year after year as China’s catches up to the West. Chinese policymakers are well-aware of the detrimental impact a future of beef eating will have upon the Chinese populace, and are already feeling the fiscal burden of a society vulnerable to diabetes and obesity. In 2016 the government released new dietary guidelines calling for meat consumption to be reduced by 50 percent, in a decision that was hailed by environmental campaigners. Laura Wellesley, a research associate at the London-based Chatham House international affairs think tank argues that policies like these are a “win-win for policy making,” keeping both public health and emission-reducing targets in line. “Without a significant reduction in global meat-eating, keeping global warming below two degrees will be nearly impossible,” she adds. But despite what we know about its unsustainability, eating meat is a hard habit to kick. To avoid what Ken Cook, co-founder of the Environmental Working Group describes as a “terrible reckoning,” hard decisions will have to be made by consumers themselves as well as policies by lawmakers on meat producers and agribusinesses. Our survival effectively depends on it. The popular expat-friendly delivery service was acquired by the operator of KFC and Pizza Hut in China.